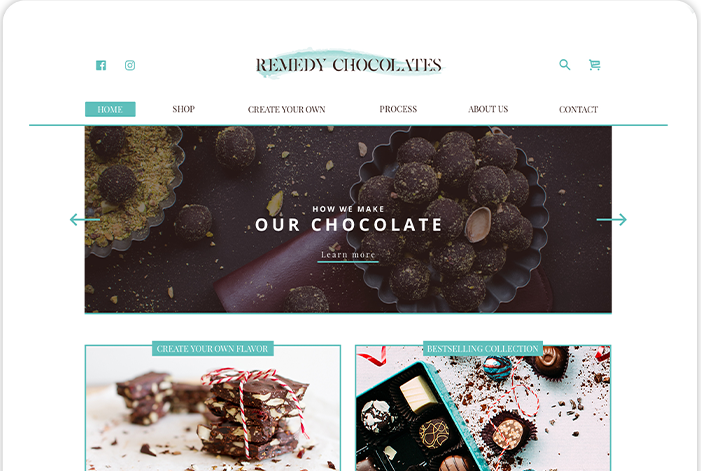 The client came to us with a chocolate-dip idea of creating an E-commerce website designed for chocolate lovers, which allows users to buy chocolates of their choice and also users can create a combo of different chocolates of their choice to build on WooCommerce. Being chocolate lovers, it was like dream came true. We personally threw a choco-fountain feast after the successful launch of the website. The project was purely an e-commerce website with content management for the front end from a backend. We also integrated 3rd party integration for the payment gateway and social media linking. Challenges: The main challenge which our team faced was creating a custom box selection feature as desired by the client. Design: We built and designed the project from scratch with the ideation of the client in our heads. The website is enriched with fantastic features and flawless design. We followed the below mentioned steps to yield the desired output in the set timeframe. We gave the master stroke a wonderful website with a great concept. The website was successfully delivered and went live shortly thereafter. It received an overwhelming response from the users. Users are loving the concept of selling chocolates online and also the way they can set their favorite chocolates together in a package.